Not the most right wing, by far. But definitely the slimiest. And the most disappointing e.g. where was the Guardian on the Iraq invasion while the Independent actually got stuck in? So it is little surprise that they have stitched up Julian Assange (and made themselves some more money) by publishing a book about him. This follows on from the Guardian sharing all the Wikileaks cables with the New York Times, against Wikileak's wishes. 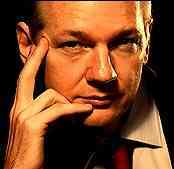 Wikileaks branded the Guardian "the slimiest media organisation in the UK". The Guardian has such a shameful history on on leaking that it is a wonder that Wikileaks ever choose to deal with them. 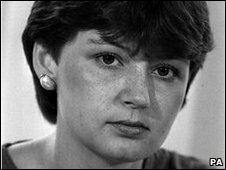 In 1983 courageous Sarah Tisdall, a junior civil servant, blew the whistle on Michael Hestletine's plans for the deployment of Cruise nuclear missiles in the UK. She got a six months sentence, thanks to the Guardian's then editor Peter Preston handing over the leaked documents to the state. Preston, presumably out of guilt, eventually wrote a slimy and self serving confession about it. Watch the latest interview with Julian Assanage here. The Guardian can continue to squirm about in its own mud, meanwhile Wikileaks has today been nominated for the Nobel Peace Prize. Sarah T would have been courageous if she'd publicly outed Heseltine, but she didn't. She thought the Guardian could keep her identity a secret and didn't expect to face the consequences in person. I love the way she, Wikileaks and others who leak classified information get lionised as heroes. Until such time as all nations and political groups throughout the world become totally open with all THEIR information, it behoves the government of this country to take steps to keep ours secure.